Sometimes you have to take matters into your own hands. What you need for your store needs a unique identity or personal touch that just cannot be found or bought any where. Our hat goes off to Pa Bunk’s in Murfreesboro, Tennessee. 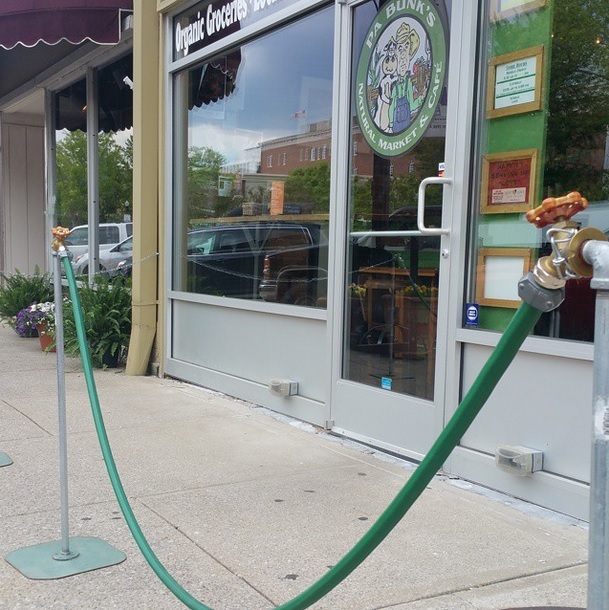 We love their very creative idea for post and rope stanchions. Galvanized pipe, water spigots and a piece of hose. How awesome is that!? !